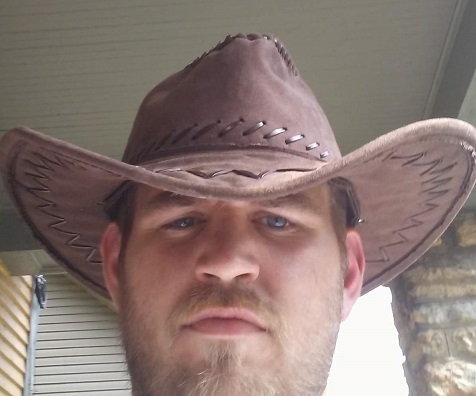 Chad Allen Nesbitt, 27, of Kansas City, MO, passed away January 23, 2019. Celebration of life for Chad Nesbitt will be held Wednesday, January 30, 2019 at Gladstone Fellowship at 7001 N. Harrison Street, Gladstone, MO 64118 from 6:00pm to 8:00pm. We would appreciate anyone who considered themselves family or friend of Chad to please come. If you could please let us know if you can attend we would appreciate it so we can make sure we have enough food. Anyone who would like to bring a dish it would be much appreciated. Please come in the southeast corner door to the basement. Chad was born January 17, 1992 in Charleston, West Virginia, to Tammy U. Moore and James Nesbitt. He graduated from Van Horn High School, Independence, MO. Chad enjoyed country music, shooting pool, and being outdoors. Chad is preceded in death by his grandmother, Bertha Nesbitt. He is survived by his parents; two brothers, James Nesbitt, Jr. and Harley Nesbitt; one niece, Destiny Nesbitt; grandfather, Oren Nesbitt; and many aunts, uncles and cousins. Wednesday, January 30, 2019 at Gladstone Fellowship at 7001 N. Harrison Street, Gladstone, MO 64118 from 6:00pm to 8:00pm. We would appreciate anyone who considered themselves family or friend of Chad to please come. If you could please let us know if you can attend we would appreciate it so we can make sure we have enough food. Anyone who would like to bring a dish it would be much appreciated. Please come in the southeast corner door to the basement. Son, you will forever be in my heart. I love you more then you know. I will see you again.